With operations commencing in 2014, SaskPower’s Boundary Dam 3 CCS Facility (BD3) located in Saskatchewan, Canada, is the world’s first carbon-capture facility, and remains the only facility that is fully-integrated with a coal-fired power plant - a ground breaking effort for large-scale capture. BD3 is renowned for its full-chain approach. It has a coal plant, capture facility, transportation infrastructure (pipelines), enhanced oil recovery (EOR), and pure storage capabilities. 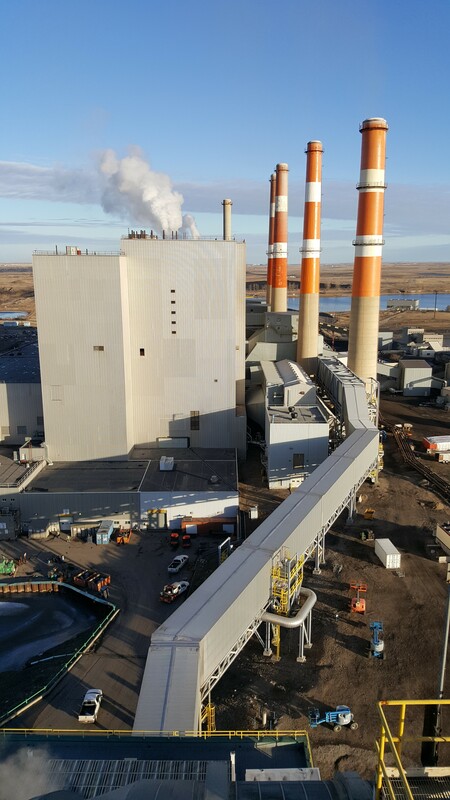 Integrating the CCS facility with an existing power plant allowed SaskPower to install new power generation technology and equipment that would provide reliable and efficient service equivalent to a newly-built power plant, without the associated infrastructure costs, while at the same time, mitigating the climate change impact of associated air emissions. Additionally, retrofitting provided an opportunity to more effectively and efficiently deploy thermodynamic integration of the power plant with the capture unit and have a system that functions well with renewable energy sources. To vision, design, build, transition and successfully operate the world’s first-ever commercial-scale, full-chain, coal-fired power plant with CCS was a massive, collaborative investment of time and finances. From policies and regulations to incentives and innovation, the ground-breaking nature of this project, the entire journey from start to finish, involved major, non-stop innovation, opportunities for learning and thinking outside of the box. In the end, the learning, the technology, the sensibility, the deployment, all of it is now exemplary to the world. Motivated to see sizeable impacts on CO2 reductions to support global climate change goals, the International CCS Knowledge Centre (Knowledge Centre) was established - as a non-profit by BHP and SaskPower - to share the learnings garnered from BD3. The mission of the Knowledge Centre is to advance the deployment of large-scale CCS so that it can be effectively and efficiently utilized around the globe. Like all, first out-of-the-gate innovation, there is always room for improvement. Working on a feasibility study at a plant twice the capacity of BD3, the International CCS Knowledge Centre have created CCS designs that will prove to be a game-changer for large scale CCS – catapulting it to second generation. Drawing on the over 20 years of combined CCS experience from BD3, the team has spearheaded a feasibility study to retrofit the Shand Power Station, located near BD3. The Shand facility is a 300-MW, single unit, coal- fired power plant – double the capacity of BD3. An example of large-scale, CCS technology that will be part of our global efforts to capture the most CO2 possible. Many of the common hurdles for large-scale CCS are being addressed. Technical development and feasibility studies will prove that next generation CCS technology will be significantly cheaper, more efficient, and integrate well with renewable energy and other sectors. The evolution to success is well underway.